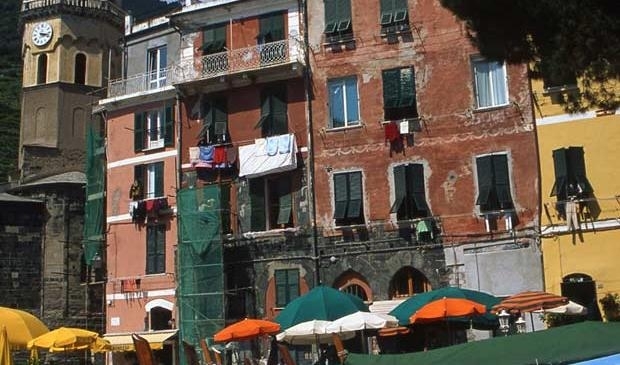 Cinque Terre and Portofino Italy Walking Tour – The Great Canadian Travel Co. Located on a part of Italy’s most beautiful coastline, our base in the seaside town of Moneglia is a real treat for visitors. 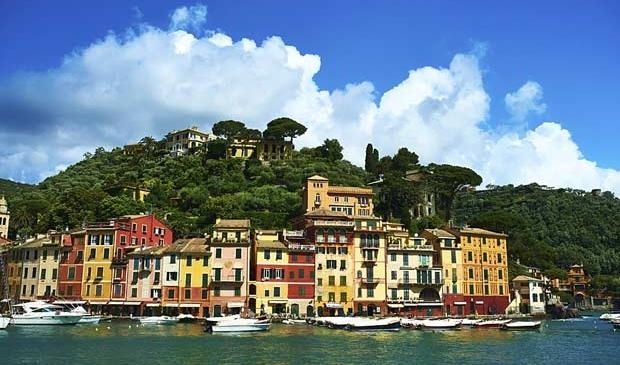 The town is perfectly nestled between the Cinque Terre and Bay of Portofino. Prices are shown in CA$ per person, based on two people sharing a twin room and one person in a single and vary by departure date. Start at our base in the seaside town of Moneglia. Take the train to Cinque Terre National Park and walk the stunning paths to some of Liguria’s prettiest villages. 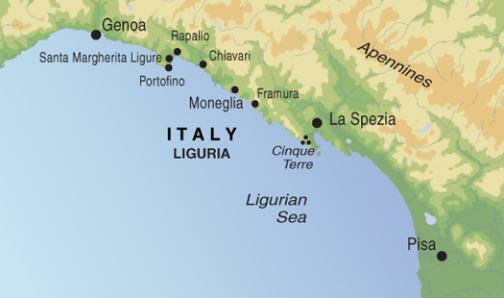 Today we will set out to visit the famous Cinque Terre (Five Lands) in the Ligurian ‘Gulf of the Poets’. This area has been a UNESCO World Heritage Site since 1997. 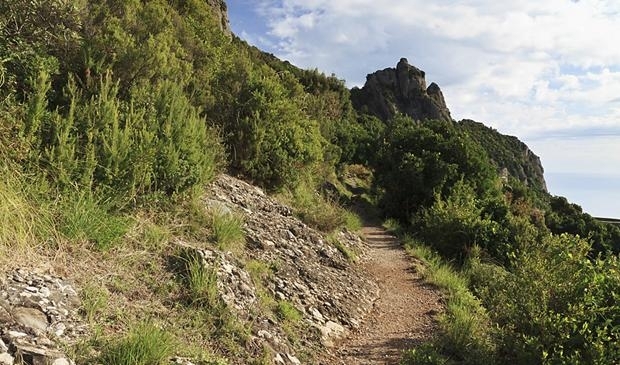 Our walk begins on the Via Dell’Amore (Path of Love), a section of the famous Sentiero Azzurro Ligure (Ligurian Blue Path), which will take us through terraced vineyards and olive groves on old mule tracks, connecting the five picturesque villages. Total walk approx. 12km. Some sections of the path may be closed so we may need to take a train between some of the villages. 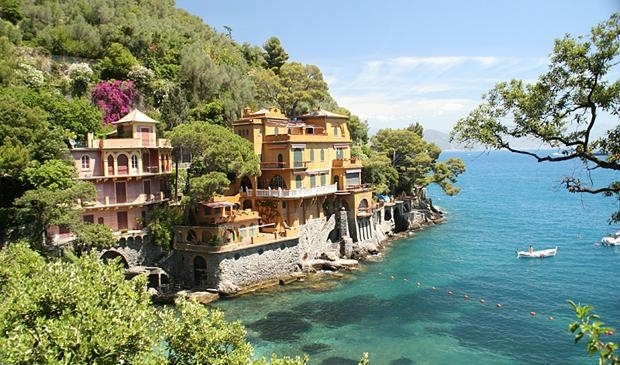 Walk on the Portofino peninsula and explore the world renowned village of Portofino itself. 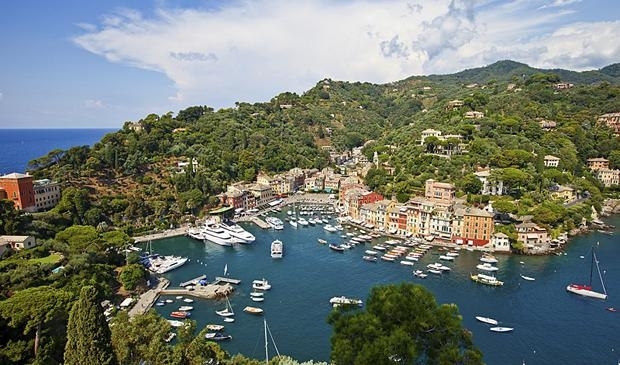 This morning we will set out by train to Santa Margherita Ligure, a charming coastal town, where we will begin our hike to the once sleepy fishing village, Portofino, now playground of the rich and famous. Total walk approx. 13.5km. Free day to relax, take optional walks, try kayaking or visit nearby Lucca or Genova. Today you will enjoy a well-earned break and perhaps spend your day relaxing at the beach. The more active might like to use the opportunity for some sightseeing. Genoa, the region’s capital city, home of Christopher Columbus and one of the largest aquariums in Europe is not to be missed. Alternatively, you could use the day to visit the marble quarries at Carrara. Transfer to Rapallo by train, take the cable car up Montallegro for fantastic views and walk down to Chiavari; afternoon wine tasting. From here we will set out on a walk through quiet woodland, catching glimpses of the Ligurian sea en route to the seaside town of Chiavari. In the early evening we will have the chance to enjoy the local speciality at our well-deserved wine tasting! Total walk approx 9km. 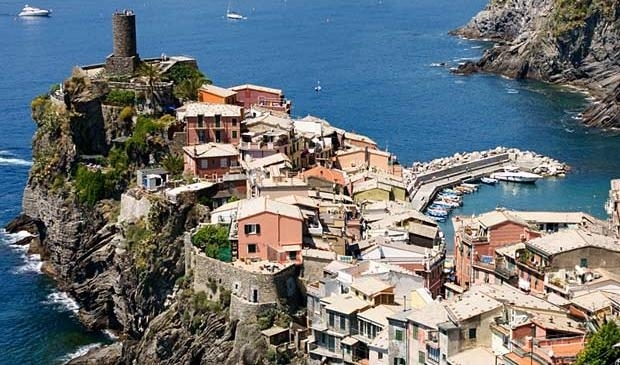 Return to the Cinque Terre area for an alternative walk through glorious coastline and colourful villages. This morning we will head back to the famous Cinque Terre to walk some of the quieter, alternative trails. The exact path you will walk will depend on local track conditions, but they are generally on higher ground than the classic Sentiero Azzuro, so offer even more spectacular views of the coastline and villages. Total walk approx 7 or 10km. The tour ends today at check out. We can arrange for your to continue on to another destination or to fly home. Just ask! On inspirational walks through Italian hills, woodland and coastal villages we will discover why these areas have earned names such as the Gulf of the Poets. Many of the country’s most iconic trails are situated in the region and the temperate climate, ample opportunities for walking, relaxing and sampling delicious food and wine, make this trip a great introduction to Italy. The hotel where we are based is just metres away from the beach which has been awarded the European Blue Badge for cleanliness and sustainability. The pace of the walks is leisurely, so we have plenty of time to rest, admire the views and on many days we can also enjoy swim breaks! Over the course of the week, the terrain and type of path track will vary from man-made paved tracks, tarmac to forest trails. Some areas may be rocky underfoot with narrow, overgrown or exposed paths. Although the walks are not technically challenging, you do need to be steady on your feet! All walks take between 4 and 6 hours including lunch stops and require a moderate level of fitness. Public transport can be subject to delays and some waiting at train stations should be expected.